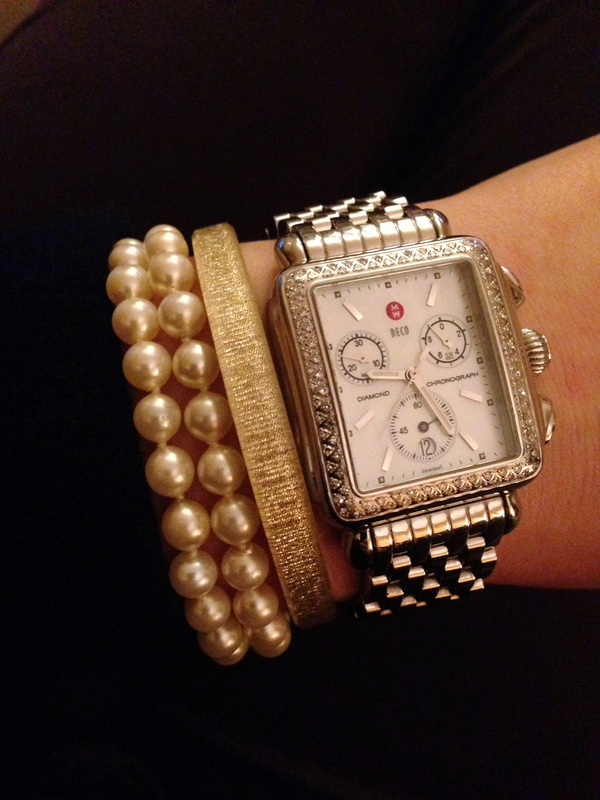 I love stacking bracelets with my watch. The more the merrier! I just recently found this great gold ribbon bangle to add to my collection. I came across this gem at the Indianapolis Museum of Art’s fabulous gift shop that showcases some great jewelry from local artist. It’s actually a plastic bangle with a gold ribbon inside. It pairs perfect with my pearls. I added a little fluff to my life with this fun scarf from Meridian Made By MaDonna Marie. This handmade pieces is a little work of art. You will be able to find this and other pieces by MoDonna at the 14 Districts Holiday Bazar this November. I love adding something whimsical to my jewelry collection. I spotted this gorgeous necklace at the Samantha Louise Trunk show hosted by G. Thrapp. Hand Made Scarf by Meridian Made.